This post was written in partnership with The Home Depot. These ideas, my house, the photographs, and my opinion are 100% my own. I would never recommend something I wouldn’t actually use in my own home. This post contains affiliate links. 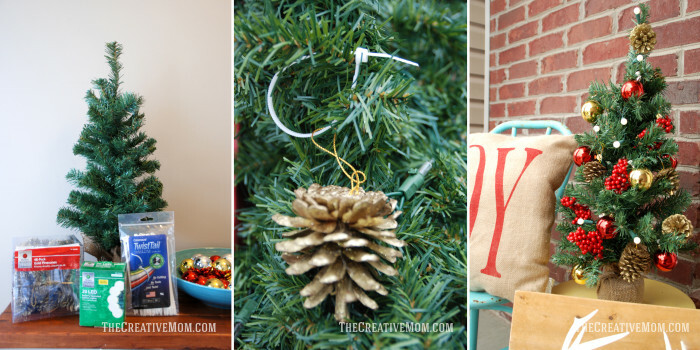 I have been loving the woodland themed Christmas items I’ve been seeing around blogland and taking over Pinterest. I love the natural feel of burlap and pinecones with a touch of gold and twinkling white lights to pull everything together. I knew I wanted to go with the woodland theme when I was putting together my porch for the holidays this year. And I am in love with how it turned out. 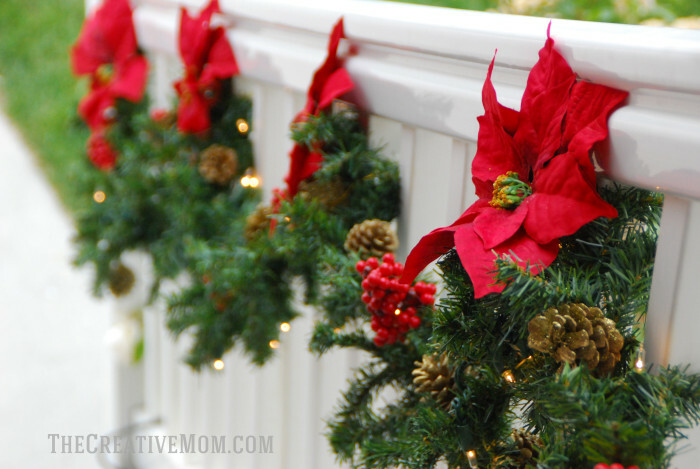 So today I want to show you how I put everything together to create my woodland Christmas porch. But first things first. 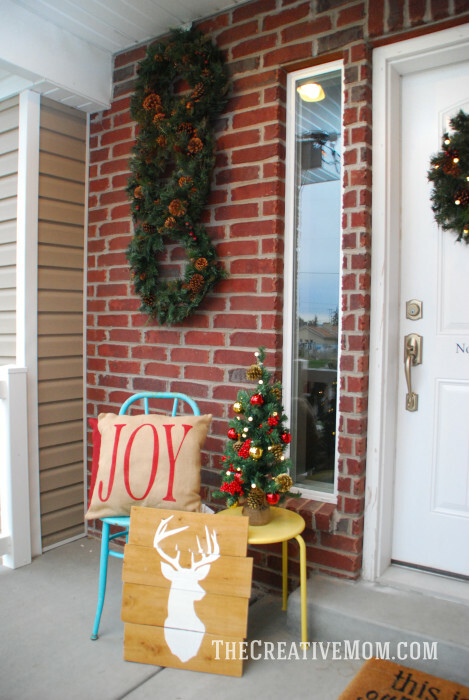 If you’re decorating a porch, you have to remember two things: keep everything weatherproof, and keep everything secure. 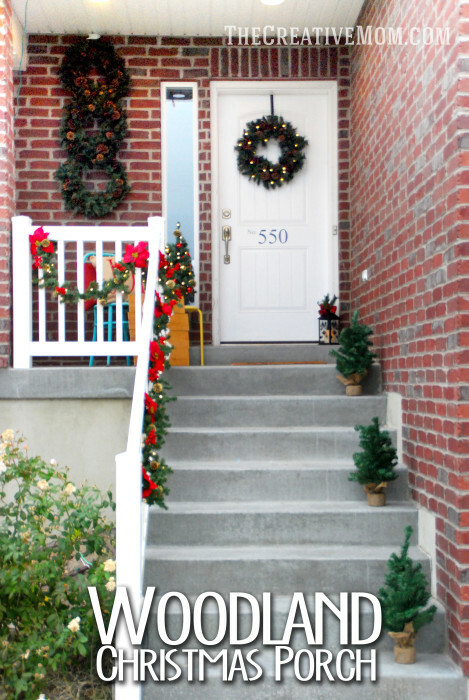 I live in Utah, and we usually get a good amount of snow and wind during the winter months, and since my garland (and everything else on my porch) is outside, I knew I was going to need to secure everything pretty tightly if I didn’t want my Christmas decorations spread all around the neighborhood by the time Christmas came. 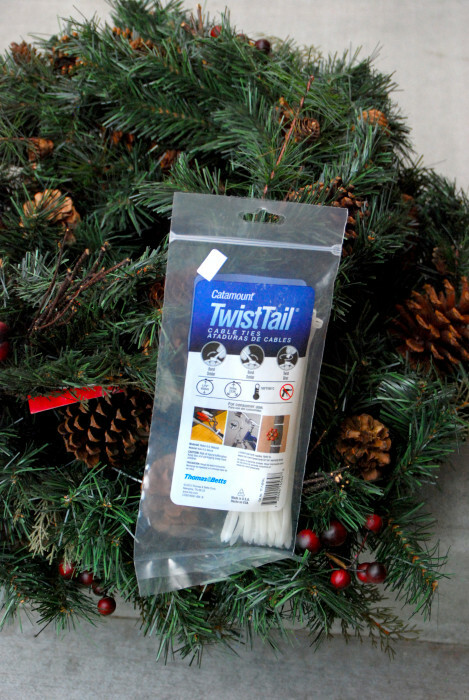 So I grabbed a package of these TwistTail Cable Ties from The Home Depot, and they seriously saved me. You’ll see all my tips for using cable ties in just a minute. When I was putting together my porch, I started with my railing. I used Martha Stewart’s Winslow Garland. When I saw this garland, I knew I needed it in my life. It feels more classic than things I’ve seen in the past few years, and I really liked that. It was a perfect starting point for my porch. Don’t you just love it? 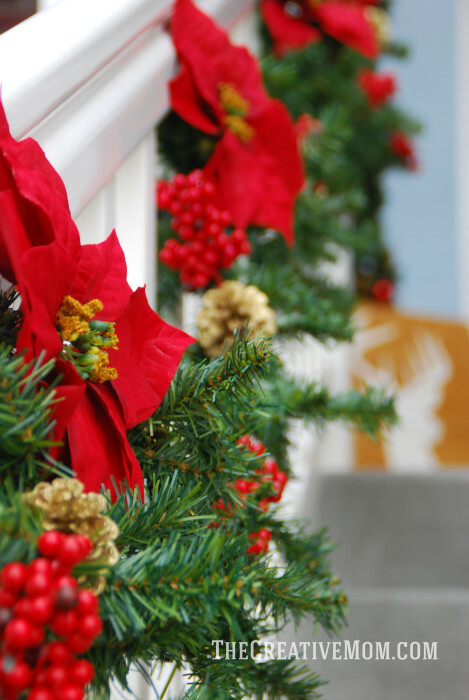 You’ll start by securing your garland to your railings. Cable ties are perfect for this, cause they’ll hold everything on really tight without ruining your railing. They don’t scratch or stain, and they won’t rust or break in the weather. Then when Christmas is over and you’re ready to take everything down, they come off really easy with a snip of the scissors. 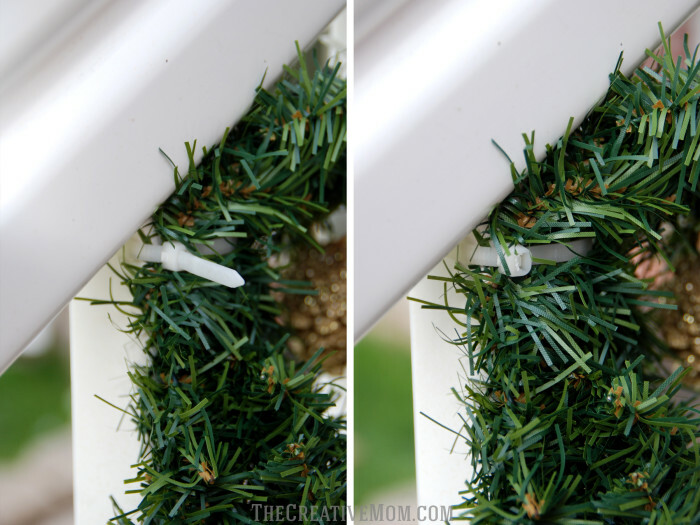 To secure your garland, you just wrap the cable ties around your railing and your garland, then zip it tight and break off the tail. Yes, I said break off! Like with your bare hands! I just have to show you this, because it’s the coolest thing. You just bend the tail back and forth, then twist, and voila! This product solidifies my belief that you don’t need your husband or your dad to help you do things the right way. I love little tips for using cable ties like this so you don’t have to go digging in your husband’s toolbox for random tools. Super cool, right? Ok, so back to the decorating. I loved my garland so much I wanted to replicate it with a miniature woodland Christmas tree by my door. I picked up a mini tree, a pack of gold pinecone ornaments, some ball ornaments, and some battery operated lights from The Home Depot. Here’s another tip for using cable ties. 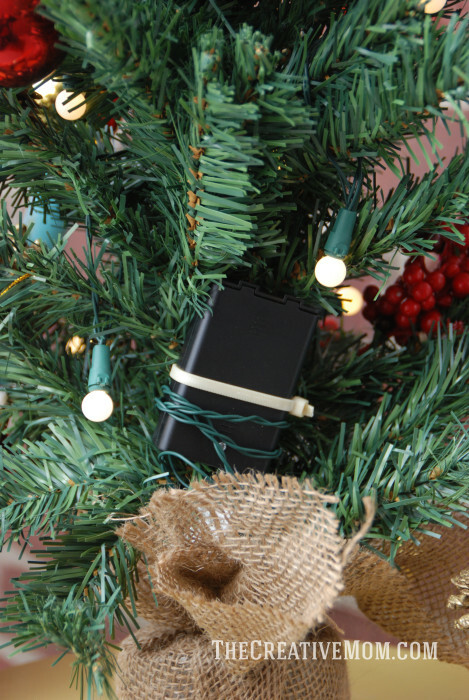 I used my cable ties to attach my lights, my ornaments, and keep the battery pack in place on my mini tree. I know that if the wind blew, or if Hurricane Jack (my 3 year old) touched the tree, I’d lose all my ornaments, lights, and everything. Now I don’t have to worry about that. Oh, and aren’t those sphere lights to die for? So cute! So, now I have a garland and a tree. 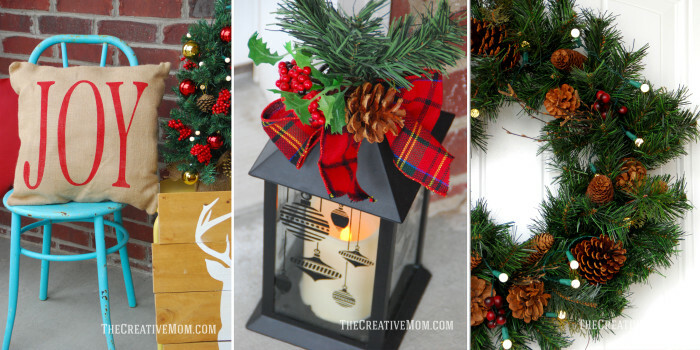 Of course the next classic porch item is a wreath, right? Right! 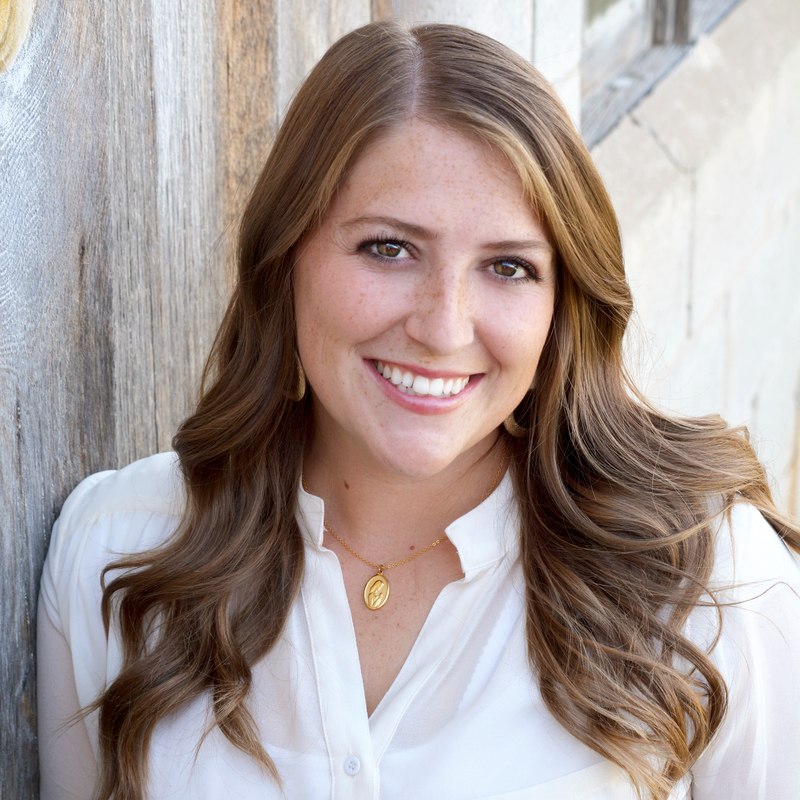 Well, I had this big empty brick wall on my porch that I struggled to know what to do with. I loved the idea of a wreath, but it just didn’t fill up the space. I needed something super tall and pretty skinny. So, I decided to DIY a 3 tier hanging wreath. And it turned out great. This might just be my favorite part of my whole porch. 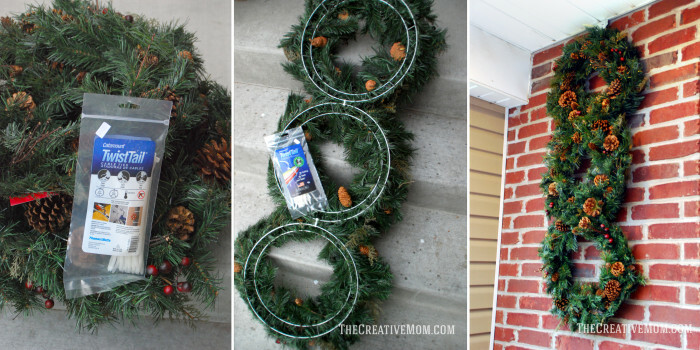 To make my 3 tier wreath, I picked up 3 inexpensive wreaths at The Home Depot. I used my cable ties again (these things are so handy! 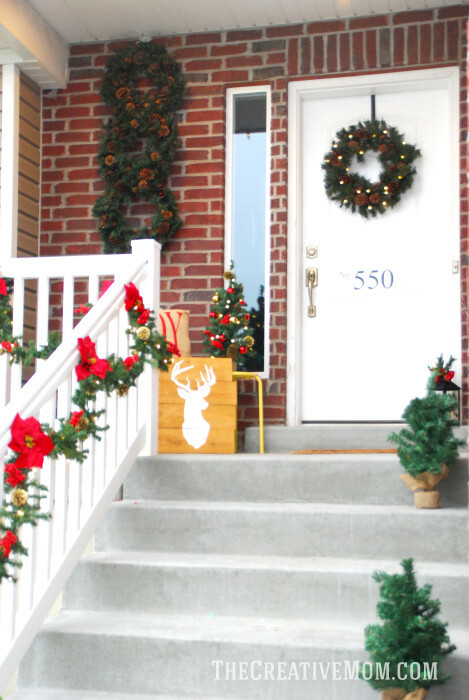 ), and simply attached the three wreaths together in the back. It seriously took like 3 minutes. And it makes such a huge statement. Here are a few other things I used on my porch. This burlap JOY pillow really tied everything together. A battery operated lantern with a plaid bow. Who loves plaid right now? Yeah, everyone!, And this 24 inch woodland wreath that I love (yes, it’s the same one I used in my 3 tier wreath)! It didn’t have lights on it, so I used the same sphere lights I used on my mini tree, and some more cable ties, and just attached a strand. The wreath looks amazing with those lights, right? I thing I just might have to add some lights to my 3 tier wreath. 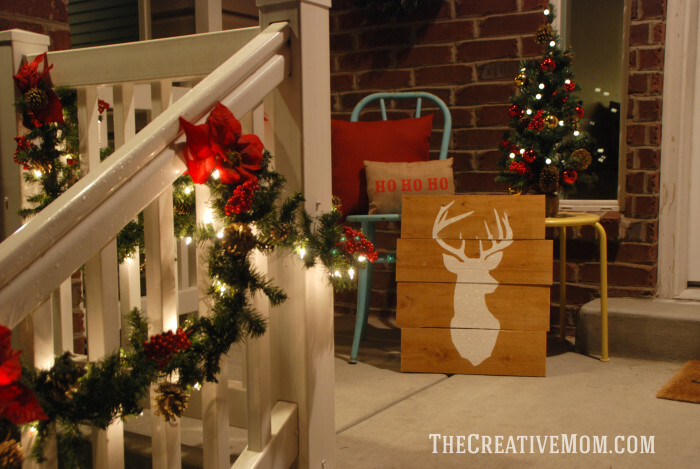 I also added in my Stag Pallet Art to give some rustic charm and a few more mini trees on the steps, only I didn’t decorate these ones. And it seems like everything came together really well. I really love the way my porch looks. It’s rustic and charming, with a little bit of classic mixed in. It’s just really perfect for my style, and that’s the most important thing.